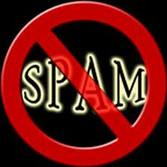 - NEVER attempt to reply on the email addresses provided by the Spammers !!! example: http://cccp-ru.tripod.com has a legitimate slide-in ad (LYCOS.TV) and an option to "close ad" - when you press "close ad" ALIBABA Holiday Offers pop up FULL-SCREEN in all it's splendor ! this link pops-up on our various websites - or when clicking google references to our sites ! by clicking our link - this blacklisted,illegal link pops-up FULL SCREEN .. ! you cannot reach our site unless you cancel - x - and not everybody might be aware of what to do. various web-sites internationally upload this page which has spam-links to our web-sites. Watch out for any referrals - we suspect unauthorized linking - from unrelated subjects : pharamceutical - real estate etc. these referrers have NOTHING TO DO WITH US !!! please report any instances immediatley to the webmaster . we have NOTHING TO DO WITH GAMBLING AND GAMBLERS !!! added to BlackList: 8 Aug 2010 - the info is no longer displayable ? we wonder ! this web-site has a page named pmoh.html which has nothing to do with us - but our name does appear in the Google search description ! CCCP RUSSIA This site may harm your computer. In some cases, third parties can add malicious code to legitimate sites, which would cause Google to show the warning message. WE OPERATE 100% LEGALLY ! If you encounter links on web-sites contrary to these principles,kindly alert us so we can disassociate ourselves immediately ! AS VOLUNTEER ORG. WE NEVER ASK / RECEIVE MONEY - OFFER GAMBLING OR OTHER PAYABLE SERVICES ! If done in our name - it's a SCAM to be reported immediately - Thanks for your understanding and cooperation ! ALERT !!!! WEBRING ABUSE : we encountered lately web-sites showing our Webring Navbar on their pages, without having approached us to join the webring. (I.e. "angel.org.ru") - this site is also not registered in our webring ! We have cancelled our membership in webring and are no longer connected to them !